It’s quiet. It’s peaceful. The Christmas tree lights are on. My babies are asleep in their beds, occasionally coughing. I text Shawn at the hospital. Happy New Year’s Eve. What a year this has been. What joy we’ve felt. What peace. And then what heartache, anger and frustration. I start to feel myself sinking. Sinking into sadness at the direction my life is taking. I need the Spirit. I need my soul to be taught. I say a small prayer and act on the first thought that comes into my mind. I find a video about New Years. And my soul soars. We had a hard year. We’ve been terrified. We’ve learned many medical terms that I wish I didn’t know. We know how to take care of NG tubes and PICC lines. 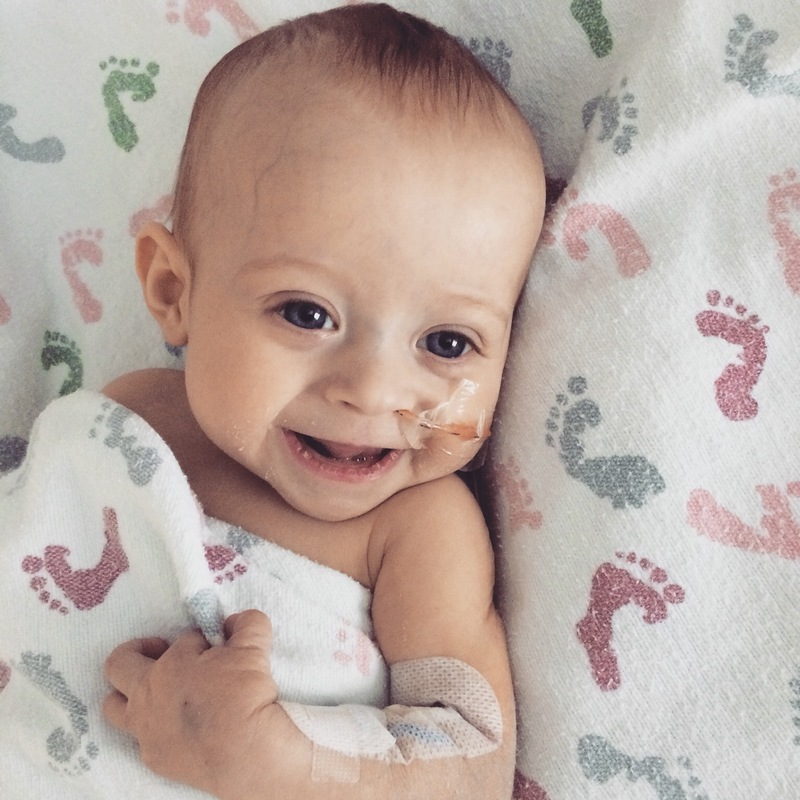 We have watched our baby endure surgery, blood draws, and watched as his belly fills up with fluid only to get to the point where he is struggling to breathe and needs the fluid to be drained. 8 times now. 8 times in two months. We are watching him waste away. Watching as his spine sticks out more and more. Watching as his arms and legs and bum get skinnier and more saggy with just his skin. It’s hard. It breaks my heart. We haven’t said anything yet but when we came into the hospital this last Monday, we found that his portal vein is clogged. This is the reason we can’t get his fluid buildup under control. His surgery worked. It worked! But there is this weird disconnect where his liver is able to drain the bile but the blood can’t circulate the way it needs to because of the clog in the portal vein and the scarring of his liver. This means that the fluid leaks out of the veins into his belly. There is no fix except through a transplant. So the decision was made to list Beckett for a transplant. We were relieved. Finally a reason for why he is still so sick. Finally a direction to go. And then reality hit. A transplant. He is not even five months old. He’s so little. He’s so scrawny. Now we’re moving to major surgery. And lots of waiting for an available liver that matches him. Knowing that he is going to get so much worse before he gets better. We could lose him. We haven’t had enough time with him. So much fear and anxiety. I’ve had many moments of wanting to go back. Wanting to go back to the time when life was easy and perfect. When we didn’t know about liver disease. When I didn’t know heartache the way I know it now. But I’ve made a choice. I am not Lot’s wife. (Genesis 19:17,26). I will not look back. “She doubted the Lord’s ability to give her something better than she already had. Apparently, she thought that nothing that lay ahead could possibly be as good as what she was leaving behind” (Jeffrey R. Holland ‘The Best is Yet to Be’). As I watched the New Year’s video last night about Lot’s wife, I had a glimpse of my future. I saw vacations with my whole family. I saw laughter. I saw late night conversations. I saw a little boy running around with joy on his face. I saw a future missionary for our church. I’m never looking back. I’m never wishing away this life I have now. I’m never wishing away the person I am becoming nor the people I’ve met who have helped me and changed me. I know that this year is going to be hard and painful as we potentially will watch our son receive a transplant. We will have many scary days. Lots of time in the hospital. And yet, I know that the Lord has such amazing plans for my family, whatever form they come in. Today is the first day of 2015, the first day of the rest of my life. The first day of the rest of all our lives. Stop looking back. Focus on the future. Because it’s bright. And shiny. And wonderful. And God loves us. He loves me. And He loves my son. It also reminds me of the story of Job. You are doing that Kim….giving glory to GOD in the midst of some long-suffering and patience testing trials. You are doing an amazing job and God is doing an amazing work through all of you. I pray for a quick replacement and peace that comes in the waiting knowing what is to come for your family and for the family of the donor. Comfort during the sad times and wishing you could get back the “before” but knowing the future still holds so much brightness!! Your perspective amazes me. You are teaching all of us through your experience dealing with trial. Major trial. Bless you Kim! Love you all so much! We are praying for you, both on the good and the bad days.